Communities across the nation have been impacted recently by natural disasters. Stetson College of Law recognizes pro bono attorneys volunteering might need help with research. Through Stetson's Disaster Research Project (DRP), we are able to assist volunteer attorneys and indirectly serve the community impacted by disaster. This project provides an opportunity for law students to earn pro bono credit and develop research skills while serving in a real-life context. 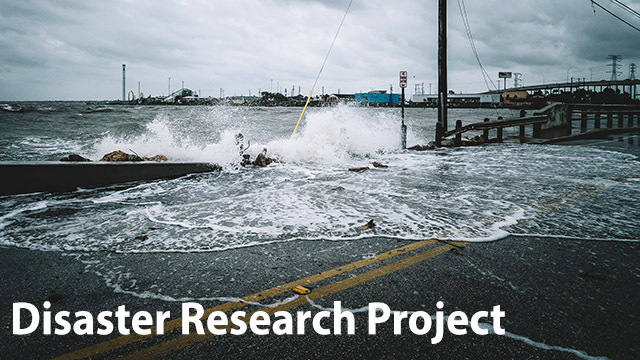 Our project connects students to Federal Emergency Management Agency (FEMA) related legal research issues from pro bono attorneys. The first launch of the DRP was in 2017 after Hurricane Irma. Our local community organized in partnership with the American Bar Association Committee on Disaster Response and Preparedness through the ABA Young Lawyers Division and local bar associations. Our Stetson College of Law community with the help of Stetson's Clinical and Experiential Education, Communications and Pro Bono departments quickly collaborated to develop strategic outreach efforts. Now, the impact of Hurricane Michael in the panhandle of Florida and the California wildfires continue to create further need for outreach and assistance.